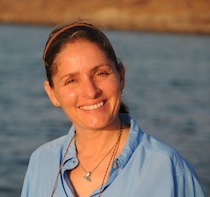 Andrea Jacqueline García Chávez, Education Director, holds a BS in Biology from Universidad Nacional Autonoma de Mexico with a focus on boat/humpback whale interactions in Banderas Bay. An excellent whale spotter and an equally gifted teacher, she is a biology teacher for the most esteemed private high school in Zihuatanejo when she is not working in the field and teaching youth with WGRP. 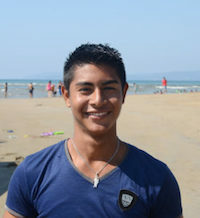 Arturo Mellín Mandujano, Lead Captain, is head of the tourism coop in Barra de Potosí. 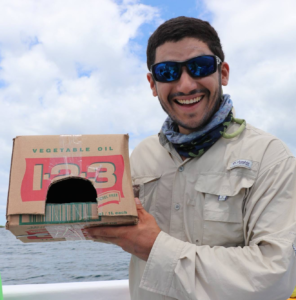 In addition to serving as lead captain with WGRP since its launch in 2013, Arturo owns a kayak rental company, runs his family restaurant, is a trained bird and whale watching guide, and a committed champion of marine conservation. 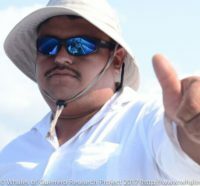 Barra de Potosí native, Abel Cortez, joined Whales of Guerrero in 2017 is a field researcher and educator. When he is not out spotting whales and dolphins and capturing fluke and fin shots, or entering and correcting data, you will find him giving presentations about the abundant marine wildlife we have discovered in local towns and villages at schools and public events. Raúl Ramirez Barragan, field researcher and educator, is equal parts skilled marine biologist, passionate conservationist and dedicated educator. He led our team to reduce our plastic use footprint to almost zero when he joined us in 2017 and is the mastermind behind many of our excellent educational presentations. When the whales have left for their summer feeding grounds, Raúl turns his focus to helping to maintain our fluke catalog and to advance our rough toothed dolphin and bottlenose dolphin research and analysis. Clàudia Auladell Quintana joined our team in 2016 as a field researcher and educator. After taking a year-long break to attain her Master’s Degree in marine mammals at the prestigious University of Saint Andrews in Scotland, Clàudia returned to work with us once again. Clàudia is now our Scientific Data Lead. We also rely heavily on her millennial skills to put together print and digital presentations of our work in collaboration with the local community. Scientist and educator, Eric Angel Ramos, is our drone and dolphin expert. He also works with our Oceanic Society expeditioners to get them involved with the science behind our project. Eric has taught our safe dolphin watch workshops and is passionate about connecting local people, visitors and school kids with our marine wildlife. 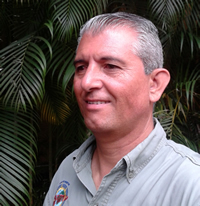 Pablo is President of Biotropicos A.C., a non-profit focused on the preservation and protection of the region of Playa Blanca, Guerrero, Mexico, founder of the Municipal Institute of Zihuatanejo Ecology, and owner of Adventours, a local ecotourism outfit in Ixtapa-Zihuatanejo. Most recently, Pablo was instrumental in the official designation of Parque El Limón, an 86 hectare sanctuary as an officially protected area between the twin cities of Ixtapa and Zihuatanejo. Pablo Mendizábal brings together the Ixtapa and Zihuatanejo community to help us generate awareness about our work and participates in the safe whale watch training program to teach safe whale watch practices to guides and boat operators in Ixtapa and Zihuatanejo. Mari Smultea, Ph.D. has over 34 years of experience studying the effects of human-related activities on primarily marine mammals and sea turtles (but also other marine and terrestrial species). 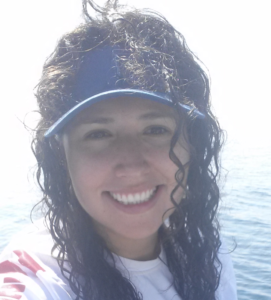 Mari specializes in assessing effects of underwater sound on marine animals. Mari has extensive experience in permitting; NEPA, ESA and MMPA regulations; regulatory agency consultation; habitat management and enhancement; and mitigation and monitoring. She has >15,000 hours of related field experience, much of it in the Pacific and Arctic (e.g., Hawaii, Alaska, and the Eastern Tropical Pacific), but also in more distant locales, such as Australia and the Antarctic region. Mari Smultea, PhD. also has a strong commitment to giving back to the community, as well as helping the environment. She is of course very passionate about marine mammals and enjoys being with them in their natural environment, be it from a boat or diving below the water’s surface to study their behavior. She especially enjoys working with non-profit groups – sharing her experience and expertise with those who might not otherwise be able to afford her invaluable contributions – to save the animals and their world that she cares about so deeply. John Calambokidis is a Research Biologist and one of the founders of Cascadia Research, a non-profit research organization formed in 1979 based in Olympia, Washington. 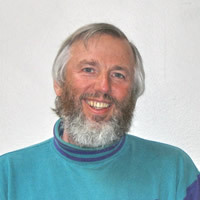 He periodically (1991-2013) serves as an Adjunct Faculty at the Evergreen State College teaching a course on marine mammals. 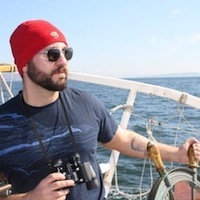 His primary interests are the biology of marine mammals and the impacts of humans. As a Senior Research Biologist at Cascadia Research he has served as Project Director of several hundred projects. He has authored two books on marine mammals (the award-winning Guide to Marine Mammals of Greater Puget Sound from Island Publishers, with R. Osborne and E.M. Dorsey and Blue Whales from Voyageur Press,with G.H. Steiger) as well as more than 100 publications in scientific journals and over 100 technical reports. He has conducted studies on a variety of marine mammals in the North Pacific from Central America to Alaska. He has directed long-term research on the status, movements, and underwater behavior of blue, humpback, and gray whales. 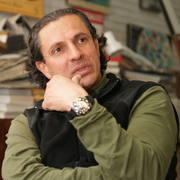 His work has been covered on shows and articles by Discovery Channel, National Geographic and others. John and his colleagues at Cascadia Research Collective have helped us to match many of the flukes in our catalog with humpback whales ID’ed along the west coast of North and Central America from Panama to British Columbia. 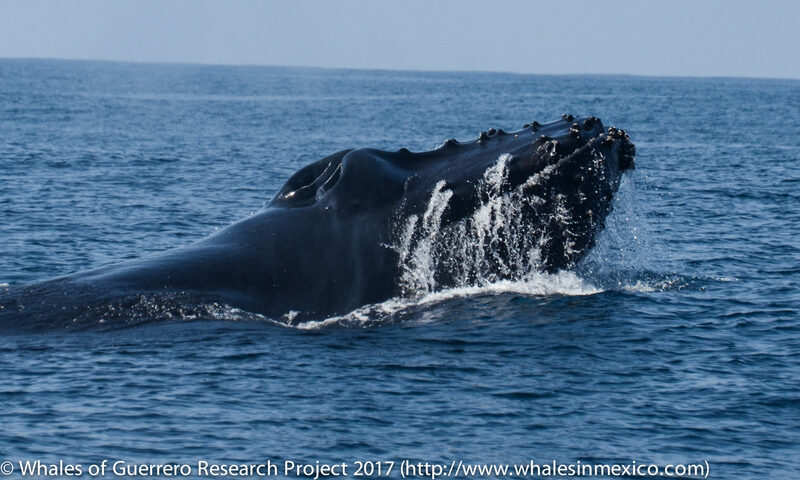 Thanks to John and Cascadia Research Collective, we are starting to get some ideas about where the whales in Guerrero come from and go when they’re not in our local waters. Denise King, M.Sc. has studied and taught subjects ranging from botany and ecology to marine biology, microbiology, and evolution. 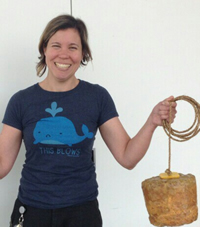 Prior to setting anchor at the Exploratorium in San Francisco as a senior exhibit developer in 2001, Denise worked as a field biologist and a lecturer at SF State. King first visited our study region in 1999 and returns regularly as a guest scientist and educator to offer science walks, teaching strategies and explore the beach, lagoon and ocean with backpack microscope, black sheet and binoculars at the ready. During her first official visit as a science educator-in-residence in 2015, Denise was spotted plunging into the lagoon, the waves and many interesting shrubberies around the village in pursuit of bioluminescent microorganisms and potentially cool bugs for kids and adults to observe through a microscope for the first time in their lives. Sally Mizroch, M.Sc. developed and manages the North Pacific humpback whale fluke photo-identification collection at NOAA’s National Marine Mammal Laboratory. Sally invented the computer-assisted matching system that allows fast matching of the more than 30,000 photos in the flukes photo collection, which contains photos dating back to 1966. As part of her work on photo-identification, she has developed many protocols for integrating data into large data base sand has taken a lead role in the transition from film to digital photography. She has used both whaling and photo-identification data to estimate vital rates of many cetacean species and populations. She is particularly interested in large mammal population dynamics and reproductive biology and enjoys fostering large-scale collaborative research which crosses national boundaries to encompass the entire range and ecosystem of each whale species she studies. 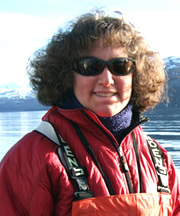 Sally has worked at the Alaska Fisheries Science Center for her entire scientific career. She began studying Bering Sea and Gulf of Alaska ground fish in the Center’s Resource Ecology and Fisheries Management Division in 1977, and in 1979 she transferred to NMML to study vital rates of Antarctic baleen whales, which were still being hunted commercially at the time. She was a member of the U.S. delegation to the International Whaling Commission’s Scientific Committee from 1980 to 1988. Some of her analyses as a young scientist provided direct scientific support for the whaling moratorium that was initiated in 1986. In 1986, she developed the humpback whale matching system and started the centralized North Pacific humpback whale flukes photo database. Sally received a B.A. in environmental studies/biology at Antioch College, Yellow Springs, Ohio in 1975. She received her M.S. in fisheries from the University of Washington in 1983 under the supervision of Professor Doug Chapman. She has completed advanced classes in statistical sampling and analysis at both the University of Washington and at Colorado State University. Andrew Wex, M.A. 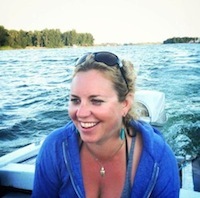 is an Oregon-based high school science teacher with a charter program on marine biology. He is the kind of teacher who nurtures a deep and lifelong love of nature and science in his students, in part due to the field work intensive exposure he gives his students and in part due to his winning combination of music, humor and demonstrated curiosity as a teaching method. 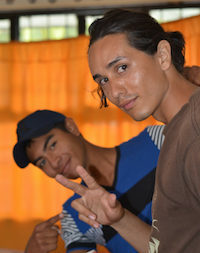 Andy brought whale and krill songs to Barra de Potosí during our first two seasons in the field and continues to connect his students with our region via an intercultural online exchange between his students and the science students at a high school in Zihuatanejo. 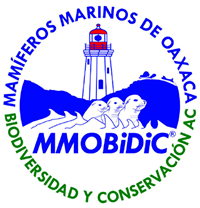 Fatima Castillejos Moguel and Francisco Villegas, of Mamíferos Marinos de Oaxaca, Biodiversidad y Conservacion Asociacion Civil (MMOBiDiC A.C.) are our point people to the south, in the state of Oaxaca. We have been studying most likely the same or a related population of humpback whales and dolphins. We are sharing our data with each other, always looking for fluke and fin matches, providing each other with feedback on community events and outreach, field techniques and all other things whale, community and ocean related. We also do our best to spend time in each other’s field regions to share knowledge with each other and among local whale guides. Astrid Frisch-Jordan is the mastermind behind the fluke ID catalog developed for Banderas Bay over the past 18+ years. 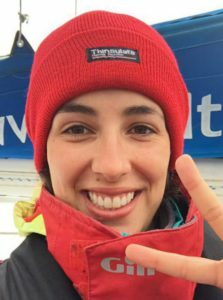 She has also been instrumental in cultivating a local ethos of responsibility among the boat operators toward whales, runs the whale disentanglement network for Mexico and teaches safe boat practices to tour guide operators. 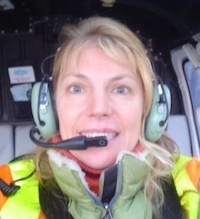 Astrid provides our team with support and guidance on everything from study design and strategy to boat operations to fluke identification techniques. Luis Medrano Gonzalez, Ph.D. An esteemed Professor of Evolutionary Biology in the Faculty of Sciences at the Universidad Nacional Autonoma de Mexico (UNAM) in Mexico City, Dr. Luis Medrano is instrumental in connecting us with graduate students and early career marine mammal scientists who are looking for opportunities to develop their field research skills and also provides us with feedback and guidance on our study protocol and practices. 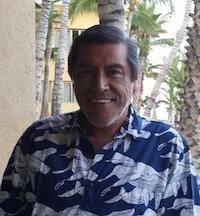 Jorge Urban-Ramirez coordinates the Marine Mammal Research Program at the University of Baja California Sur in La Paz, Mexico. He is also on the Mexican delegation to the IWC. Dr. Urbán brings together the humpback whale research scientists along the entire length of the Pacific Coast of Mexico to share and collaborate with our research efforts and helps us to create a more complete big picture understanding of how the whales in Guerrero move along and use the Mexican coast as breeding and calving habitat. Our national advisors and collaborators include: FMCN; CONANP; PROFEPA; SEMARNAT; Cine Hermitano; Mares Mexicano; Sustenta; and EDF. We partner internationally with: Monterey Bay Aquarium; National Geographic; USFWS; Cascadia Research Collective; and NOAA. Oceanic Society America’s first ocean NGO, Oceanic Society, serves as our principle international travel partner and fiscal sponsor, and brings volunteers and eco-travelers to our project, and also hosts our online whale adoption program.